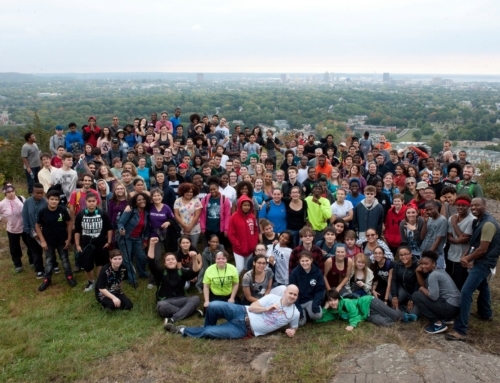 “What is the Schoolyards Program? I never heard of it!” “Common Ground supports School Gardens? Who knew?” “Wait, what’s the difference between a garden and a habitat?” “Can you guys come and teach our teachers about how to take their kids outside for learning and not just recess?” These questions frequently come up in our community and as the Schoolyards Program Manager I thought I’d give a little Schoolyards 101 in the hopes of raising awareness about the primary ways Common Ground engages with New Haven Public Schools as well as a preview of some exciting developments coming up this year. 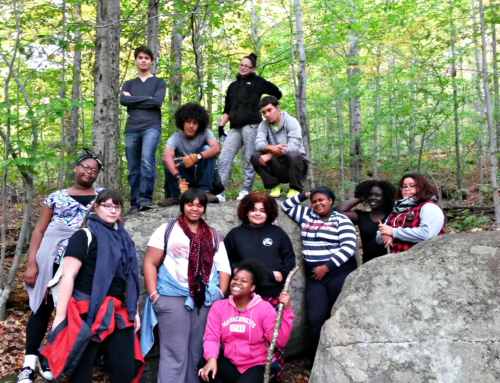 The Schoolyards Program started as the CT School Garden Resource Center in 2012 and while the CT School Garden Resource Center still exists, it is just one component of a three-pronged program, including School Gardens, Schoolyard Habitats, and Professional Development focused on teaching outside and utilizing School Gardens and Habitats for schools, organizations and individuals. 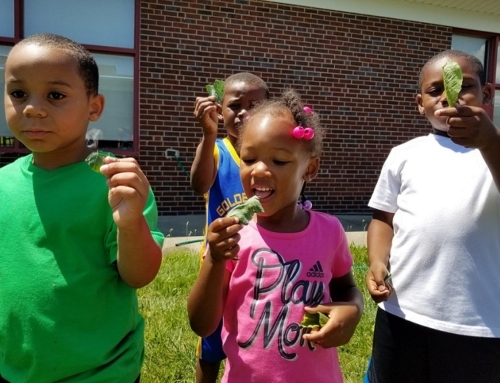 We focus our hands-on support of school gardens and schoolyard habitats to New Haven and are in the process of expanding our impact statewide through Professional Development and an exciting new awards program (more on that in a minute). 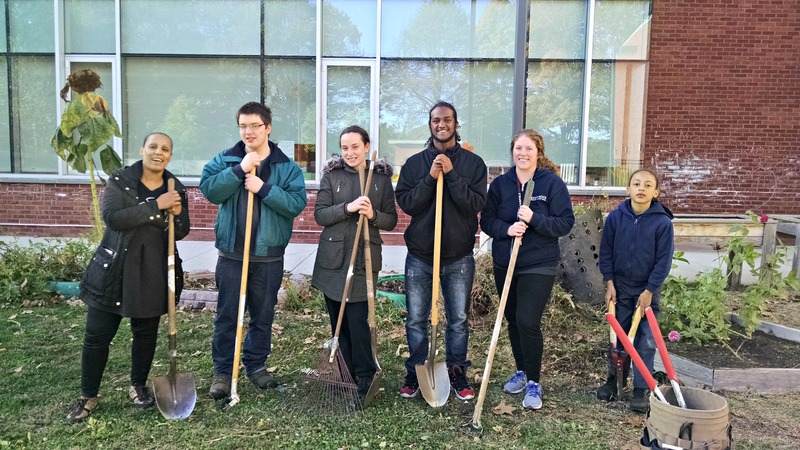 To date, the Schoolyards Program has partnered with 15 New Haven Public Schools to help build and utilize school gardens on their school sites. Schools apply to be a partner and in the first year receive intensive support for everything from design and installation to help with curriculum integration and developing maintenance plans, in addition to field trips to Common Ground for their students. 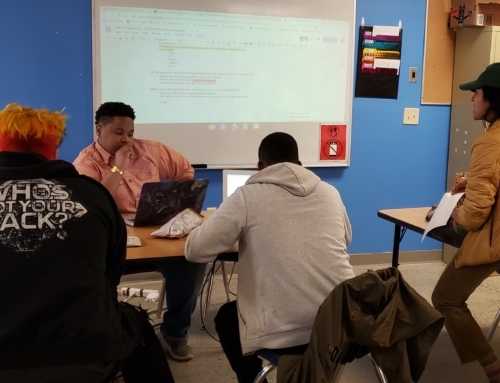 After their first year, schools receive support tailored to their evolving needs and goals, including work days with our Green Jobs Corps Schoolyards Crew, presentations at faculty meetings, and workshops for teachers. 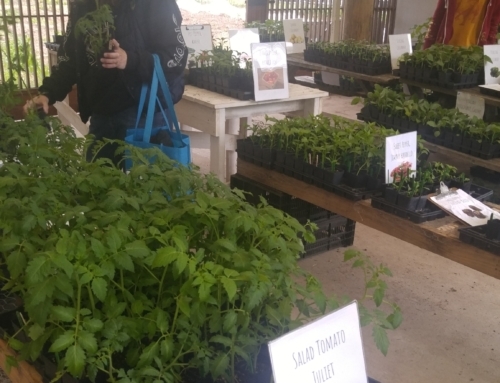 Most schools are focused on growing vegetables and herbs in their gardens and utilize the spaces to teach about the natural versus built environment, plant parts and how plants grow, the water cycle, the food web, health and nutrition. 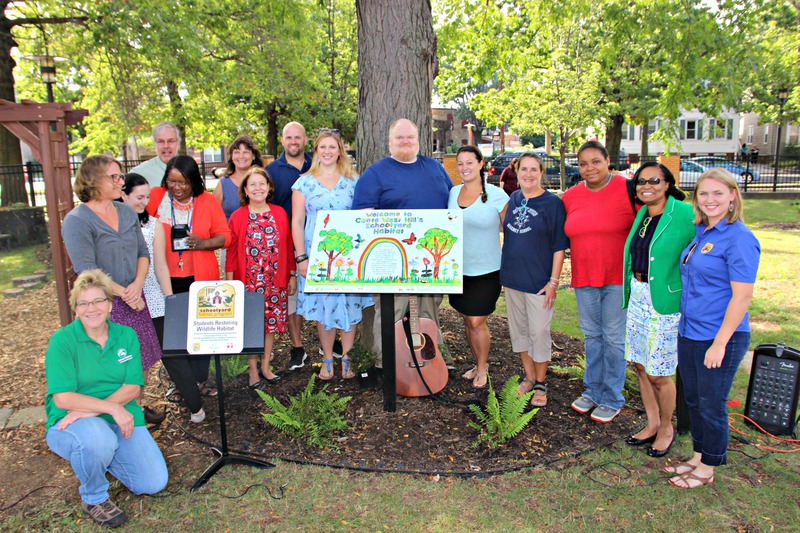 We are piloting the installation of two new school gardens this year with the explicit purpose of serving as refocusing, therapeutic spaces for students struggling with behavior, trauma or other issues. 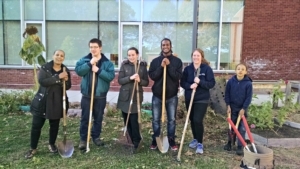 In addition to school gardens, many of our partner School Garden Schools – 12 schools as of this fall – in New Haven have also gone through the official Schoolyard Habitat certification process in partnership with the Schoolyards Program, Audubon CT, US Fish & Wildlife Service, and the Yale Peabody. Schools design a habitat space in their schoolyard that can serve as both an outdoor classroom for students and as an oasis for birds and pollinators; if you took a tour of Schoolyard Habitats in New Haven you would see butterfly gardens, a wide variety of native plants and trees, logs for seating, nature trails and students and teachers busy studying all the life to be found in these spaces. Schoolyards Program staff provide a suite of experiences for participating schools including professional development focused on utilizing outdoor spaces as classrooms, field trips to Common Ground’s flagship Schoolyard Habitat Wetland, and Green Jobs Corps Schoolyards Crew support for habitat installation and maintenance. This spring we will be launching the first ever statewide CT School Garden Awards Program to recognize superior school garden programs in Connecticut. Schools will be nominated in several categories, including health & wellness, curriculum integration, and community involvement. After an application and vetting process, winners will be announced in Fall 2018, with cash prizes given at an awards event. We are so grateful to FoodCorpsCT, UCONN Extension, and Put Local On Your Tray, who have signed on to sponsor this exciting award program in its inaugural year. Check back in the winter for more details! Interested in learning more? We have a Kick-Off Schoolyard Habitat Exchange coming up on Tuesday, October 17th from 4-6pm at Fair Haven School. It’s free and open to the public. Come take a tour of the Fair Haven Schoolyard Habitat and take a seed saving workshop with Jim Sirch of the Yale Peabody. Please contact suzannah.holsenbeck@commongroundct.org or kendra.dawsey@commongroundct.org for more information on the Schoolyards Program.